The world’s biggest music streaming service indicated the flotation could be worth up to $1bn but admitted the figure was largely baseless because of the company’s need to meet US market rules. It applied for a direct listing with the US Securities and Exchange Commission – a rare process involving the sale of existing shares currently held by staff and investors rather than new shares. It means the company can move towards an IPO (Initial Public Offering) without having to raise new capital or hire a bank or broker to underwrite the offering – keeping costs to a minimum. Spotify, which has a presence in more than 60 countries, said in its filing that it has 71 million premium subscribers and about 159 million monthly average users. It said: “With our ad-supported service, we believe there is a large opportunity to grow users and gain market share from traditional terrestrial radio. Today, millions of people around the world have access to over 35 million tracks through Spotify, whenever and wherever they want. “We are transforming the music industry by allowing users to move from a ‘transaction-based’ experience of buying and owning music to an ‘access-based’ model which allows users to stream music on demand. 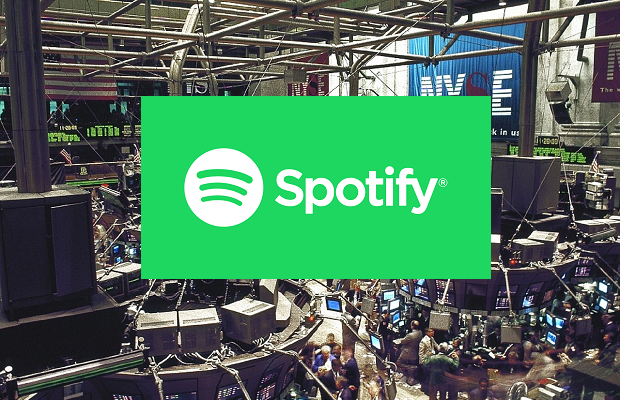 Spotify did not specify any prices for the share sale but said private current activity would give the firm an estimated market value of between $16bn and almost $23bn. According to financial statements in the paperwork, Spotify’s revenue last year was €4.09bn (£3.62bn), compared with €2.95bn the previous year. However, it has never made a profit and admitted its bottom line was a potential risk. Spotify reported that its net loss had widened sharply last year to €1.2bn (£1.1bn).